Planning a safari in 2018? From the charms of Kenya to glorious South Africa, from Botswana to Uganda, there are dozens of exciting opportunities to explore Africa. If any of these destinations tickle your fancy, then it’s about time to consider how to make your 2018 go with a bang; going on a safari might be the best option. True, depending on the destination, safari can range from a walk in the park (quite literally!) to one of the greatest physical exercises on the planet, but that is the reason I made the list of the most exquisite safari places to visit. These 10 safari destinations definitely take the cake! Kruger National Park is one of the largest parks in Africa with an area of 7,500 square miles (12,070 square kilometers). Located in South Africa, it is bigger than the smallest country in the world (Vatican City). It has nine entry gates, and in order to roam around, you will need to hop on a vehicle. Speed is limited to 30 mph (50 kmph) in this area. On a yearly basis, there are over one million people visiting this place. The park opened in 1927 and, since then, it has become the most popular African reserve, filled with many different species. “The big 5” animals (lions, rhinos, leopards, buffalos and elephants) call this part of the world their home. 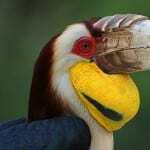 Moreover, over 500 bird species, up to 120 reptile species and more than 80 mammal species also live here, ready to be explored. If you are a fan of classic safari tours, consider visiting Kruger National Park. This is the perfect way to see them in their natural environment. Early in the morning, before sunrise and after riding through the forests, you can see large numbers of different species coming to the riverside. It will be impossible to miss seeing Padam Talao Lake, as well as marvellous Jogi Mahal – great places for tourists to take a break while on the road. Ranthambore offers a rich variety of wildlife species, not only when it comes to the wild cats, but also for the birds and reptiles. For example, the most famous and largest Indian tree species, the Banyan, can also be found in forests covering this area. Finally, we suggest that you take some time and go visit the old Ranthambore Fort high in mountains. It will take your breath away. The name ”Mara” means ”spotted,” meaning that you can see very far away from almost any point of the reserve. With an area of 600 square miles (965 square kilometres), it’s one the biggest national parks in Africa. Kenyans are very proud of it, and they have good reasons to be! ”The big 5” can be seen here as well, but this place is best known for the hyena research and lion monitoring centres. If you loved the ”Big cat diary” documentary that BBC made, you know how stunning the Maasai Mara National Park is. Maasai Mara is home to one of the world’s largest natural phenomena’s that occur from July to October – the Great Migration. Around 1.8 million of wild creatures, zebras, and gazelles hit the road, which makes the Massai Mara the perfect place to be if you want to see this spectacle. This astonishing park lies on the Mount Meru active volcanic prominence in the Arusha region of Tanzania. 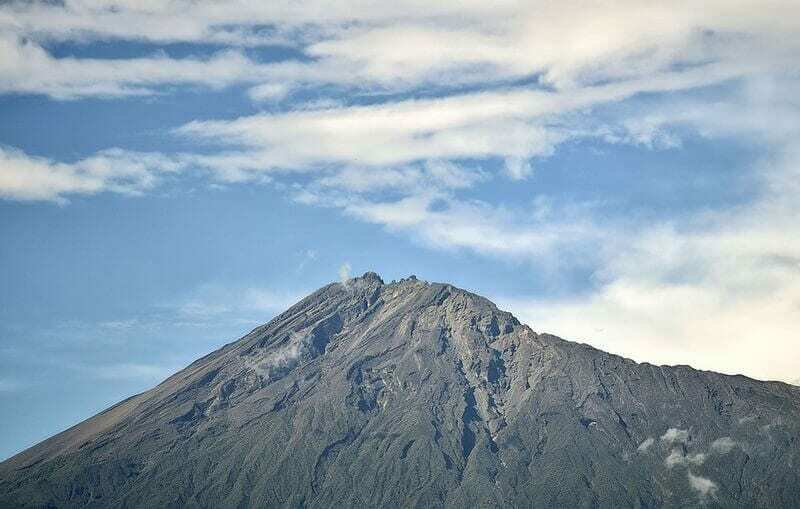 It is the second highest peak after Mount Kilimanjaro, which is almost 40 miles (60 kilometers) away. 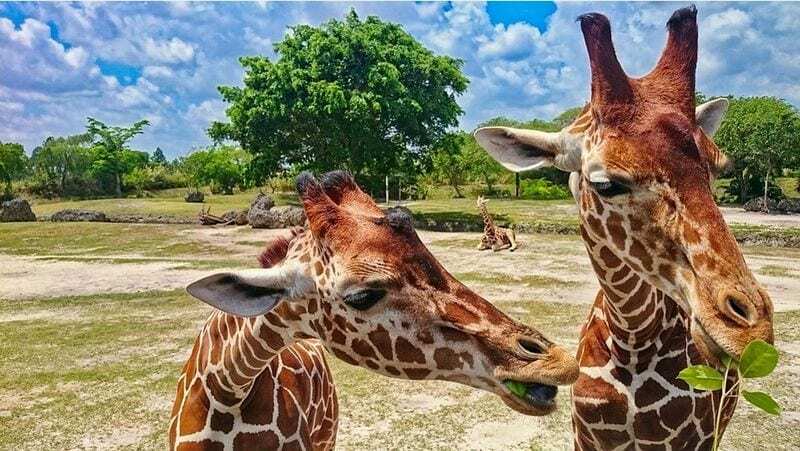 With an area of 50 square miles (80 square kilometers), it was established in 1960 by the Tanzanian Government and, since then, it has had around 60,000 visitors per year. Much smaller than other national parks in the safari league, it’s the best place to see the rarest, most beautiful and fascinating birds. Prepare your safari gadgets for this trip, and enjoy the charm of those feathery friends. You can choose between hiking tours or canoe rides, but no matter what your decision is, you will most probably encounter giraffes, too. This is the world’s largest home for the tallest animals on the planet. The great thing about this place is that you can see all there is to be seen in one day, which is a rare experience when it comes to safari. A large, swampy river that encompasses almost 5,500 square miles (8,850 square kilometres) of the Kalahari Desert is the life source to all wildlife in this area. From March until July, frequent floods help animals and plants thrive in this habitat. The very challenging and complex circle of high temperatures, rains, and consequential evaporation was first fully understood at the end of the 20th century. The Okavango Delta is essential to sustaining life in this part of Botswana. During winter, this river is around three times bigger than during summertime, producing much-needed water. In 2014, the Okavango Delta was recognized as one of the 1,000 world wonders, and it is now on the UNESCO World Heritage List. It is the most visited park in Sri Lanka, with around 200,000 tourists per year. In 1900, Yala was established as a wildlife sanctuary and, in 1938, it was officially declared a national park. In fact, Yala is a complex of six national parks, hosting a variety of ecosystems. The idea was to protect and nurture the biodiversity of animals, plants, and reptiles living here, all the while allowing people to see them in their natural environment. Yala National Park is home to more than 200 bird species and six endemic species of Sri Lanka. Except for birds, it is a place densely populated with leopards, in addition to more than 40 other mammal species. Located on the Zambezi River between Zambia and Zimbabwe, 360ft (110m) tall, this beauty is listed as one of the seven world wonders by CNN. 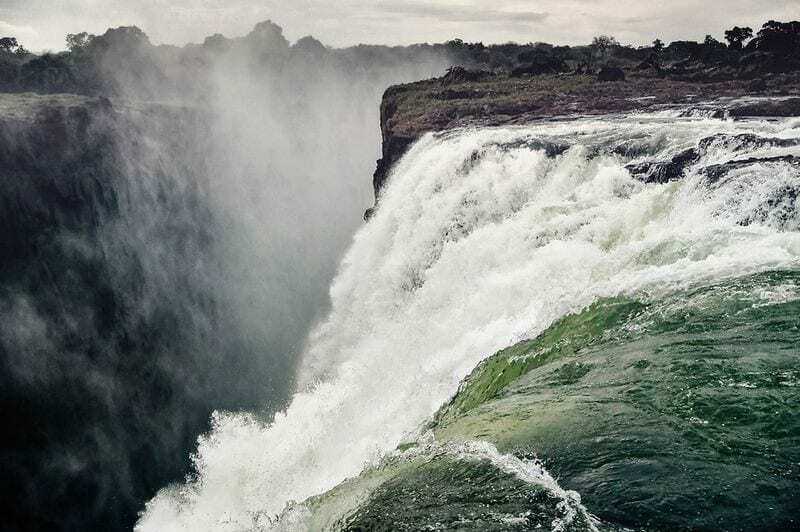 Over 400,000 tourists visit Victoria Falls annually. If you are visiting somewhere between September and December, and you are adventurous, you will be able to see the ”Devil’s Pool” or the naturally formed ”Armchair.” These phenomena appear due to lower levels of water during this period and, as a result, swimmers can reach stones that act as safety holds on the edge. Large populations of animals became extinct due to uncontrolled hunting during the 19th and 20th centuries. After the government has officially proclaimed Etosha a national park, some species recovered. Unfortunately, some species, like the cape buffalos and cape wild dogs, cannot be seen anymore. Fortunately, the African bush elephant, mountain zebras, Angolan giraffes, African lions, and leopards frequently show up, followed up by an enormous diversity of birds. 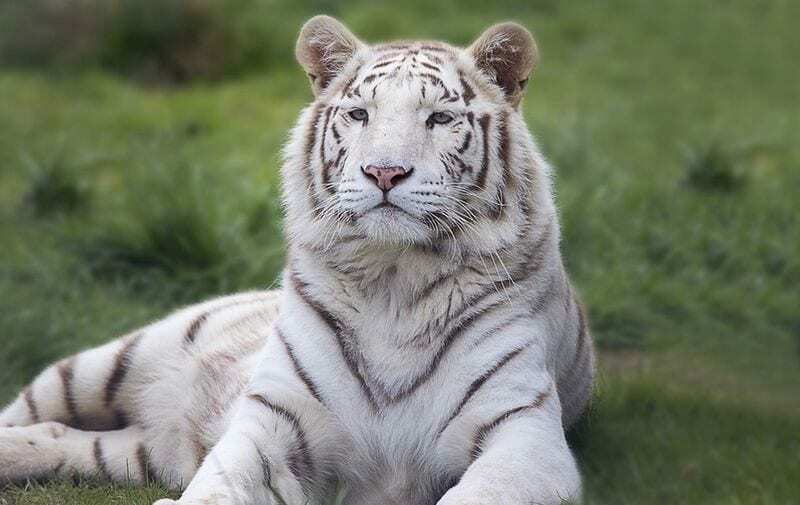 With more than 100 mammal species, around 300 species of birds, followed by 100 reptile species, this is one of the largest reserves of wildlife. Established in 1967 on a large area of 4,500 square miles (7,240 square kilometres), it’s one of Botswana’s three largest National Parks. Conventionally, the park has four areas, and it’s divided like this because of the very different ecosystems in each of them. From May through October (dry season), the Chobe River floods the area, which becomes a place of gathering for elephants, giraffes, buffalos, the very rare puku antelope, and many bird species. It is very popular among tourists because it’s not far from Victoria Falls. The other section, called the Savuti Marsh, has savannahs and rolling grasslands. Here you can see lions, rhinoceros, cheetahs, and zebras, as well as a conglomeration of more than 400 species of birds. Every part of this park has one unique beauty trademark. Mainly, the park is known as home to the Kalahari elephants, the largest elephant species in the world. 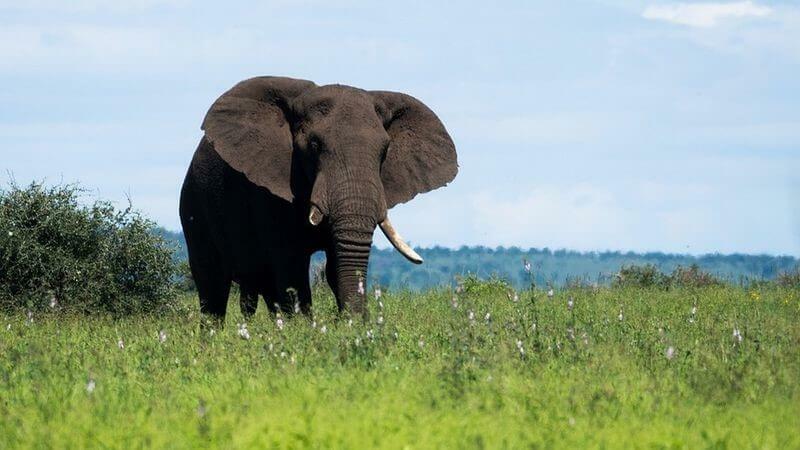 More than 40,000 elephants live here, the elephant population with the highest density in Africa. During the dry season, they migrate to the Chobe River and the Linyanti River. One of the largest and most populated provinces in South Africa, with four great rivers that flow into the Atlantic and the Indian Ocean, the Western Cape is one of the world’s seven ”floral gardens,” with incredible diversity and endemic species. The Western Cape has four universities and the highest number of highly educated young people in Africa. Cape Town stands at the foothills of Table Mountain, and you can visit it using the cableway that will take you to the top of the mountain (3500ft/1,066m). If you are a fitness fan, maybe you can hike up there, it’s up to you. Rock climbing and mountain biking are also very popular among tourists. Table Bay on the Atlantic Ocean has one more secret – a famous prison in which Nelson Mandela was imprisoned, now a museum. Annually, more than 25 million tourists come here to enjoy different mountain activities. 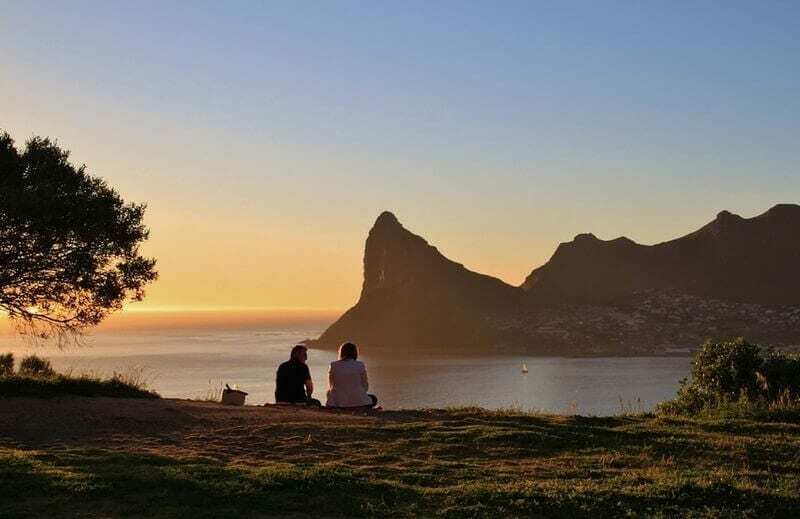 This combination of urban environment and wild nature will make you fall in love with Cape Town and this province. As you are preparing for this unforgettable and somewhat exclusive trip, we encourage you to research more of Africa’s ”Big five animals,” interesting facts about gorillas, safari tips, useful safari gadgets, and exploring the jungle. We hope you will have a great time visiting Africa. Stefan is a writer by profession and lover of tv shows, psychology, travelling, ambient music and nature.